IIIT-Hyderabad launches “Product Labs” to bridge lab to land gap and assist in creating market prototypes through its Technology Transfer Office. 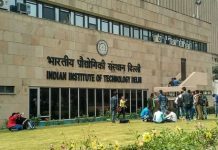 Hyderabad: IIIT-Hyderabad launches Products Labs at IIITH. A part of the institute’s Technology Transfer Office (TTO), Products Labs will work on creating market prototypes of research work from its labs and research centers. It will also connect relevant research with market needs and gaps as well as assist in building products out of this research. The product labs will identify potential products based on market & strategy analysis, identify suitable research as available and then build the prototypes of these products along with associated businesses and market plans. The products will then be either licensed to larger enterprises or hover off as startups leveraging Entrepreneurs In Residence (EIR)s.
Commenting on this initiative, Vasudeva Varma, Dean of R&D at IIIT-Hyderabad said, “Product Labs will be working on IIIT-Hyderabad’s commercially viable matured technologies. We hope this will help bridge the Lab-to-Land chasm and the adaptability of our research can make a significant contribution to society at large”.